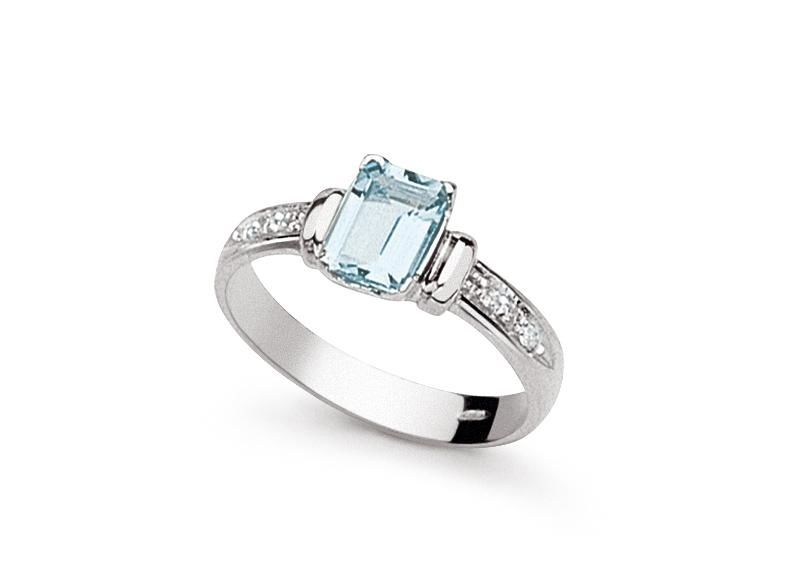 A beautiful version of a ring with Aquamarine, the stone that by definition gives calm and confidence to the wearer. 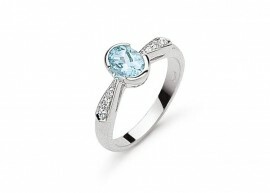 Beautiful diamond ring with aquamarine stone. 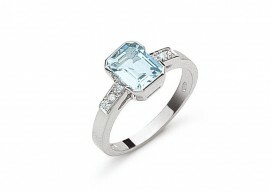 The white gold ring is 18 karat and 3.70 grams in weight. 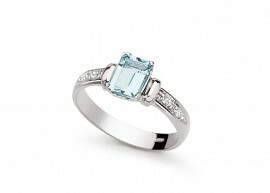 The octagonal cut aquamarine stone is 0.90 kt, while the 6 surrounding diamonds 0.05 Kt.